Once Hadrian died, it was clear that Marcus was next in line for the most important position in the empire. His education would become of serious concern and he would have the privilege of studying under Herodes Atticus, a rhetorician from Athens (Marcus would later write his Meditations in Greek) as well as Marcus Cornelius Fronto, his instructor in Latin whose letters of correspondence with Marcus survive to this day. Marcus would also serve as a consul twice thus receiving a valuable and practical education. Marcus’s Meditations is perhaps the only document of its kind ever made. It is the private thoughts of the world’s most powerful man giving advice to himself on how to make good on the responsibilities and obligations of his positions. Originally titled,”To Himself,” Meditations is the definitive text on self-discipline, personal ethics, humility, self-actualization, and strength. It proved to be equally inspirational to writers like Ambrose Bierce and Robert Louis Stevenson as he has been for statesmen like Theodore Roosevelt, Wen Jiabao, and Bill Clinton. If you read it and aren’t profoundly changed by it, it’s probably because as Aurelius says “what doesn’t transmit light creates its own darkness.” As John Stuart Mill put it in his On Liberty, Meditations are “the highest ethical product of the ancient mind”. You HAVE to read the Hays’s translation. If you end up loving Marcus, go get The Inner Citadel and Philosophy as a Way of Life by Pierre Hadot that studies the man (and men) behind the work. And if you want more on the topic, Marcus inspired The Obstacle is the Way, which you can get a free chapter of if you sign up for the Daily Stoic newsletter. P.S. 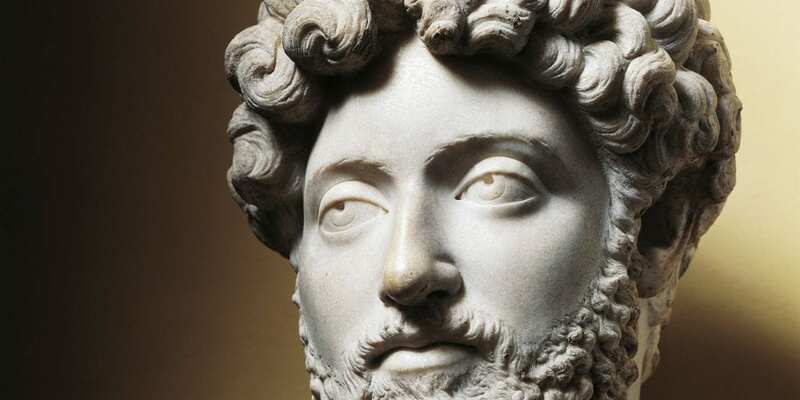 Visit our page on Stoicism quotes for more Stoic quotes! You can also check out our popular Memento Mori medallion which features a quote from Marcus on its back.